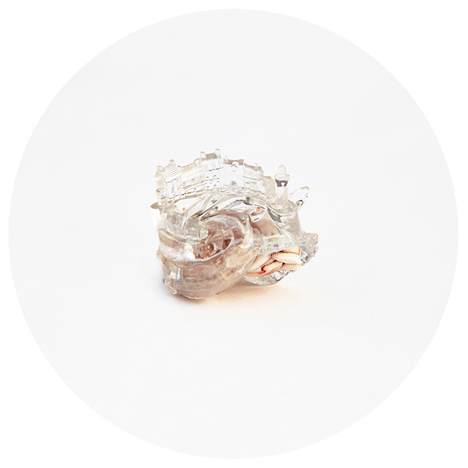 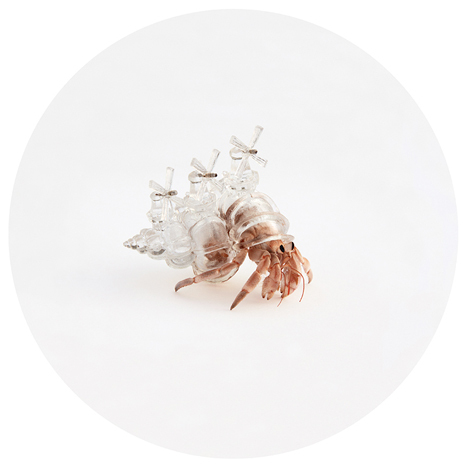 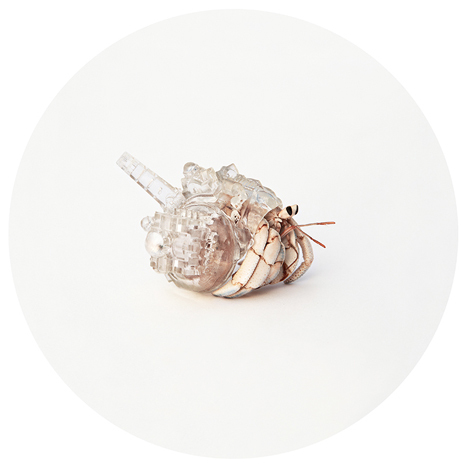 Hermit crabs carry crystal-clear cityscapes on their backs, thanks to a series of 3D-printed shells by Aki Inomata. 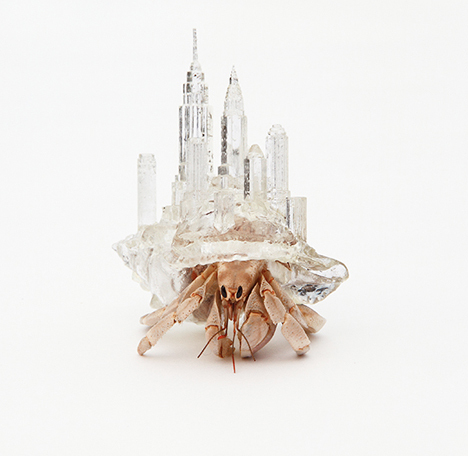 The artist scans the insides of hermit crab shells to ensure a perfect fit, and then prints skylines of cities like New York, Thailand and Greece in plastic using a high-accuracy 3D printer. 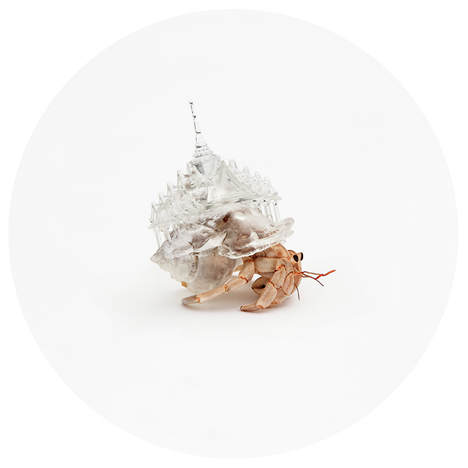 3D-printed shells for domestic hermit crabs could help preserve the ocean’s shell supply. 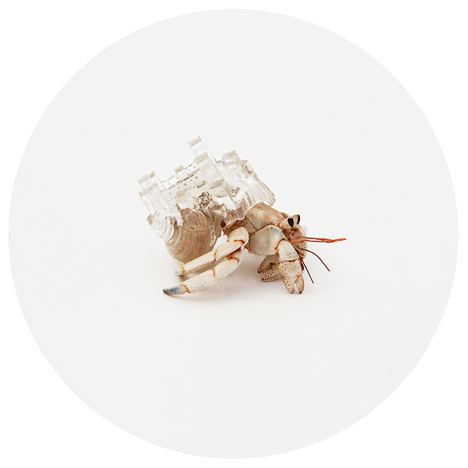 MakerBot created ‘Project Shellter,’ a quest to create these shells, which resulted in some highly unusual options including neon colors and origami shapes.